Our newest exclusive SFO. Not found anywhere else. 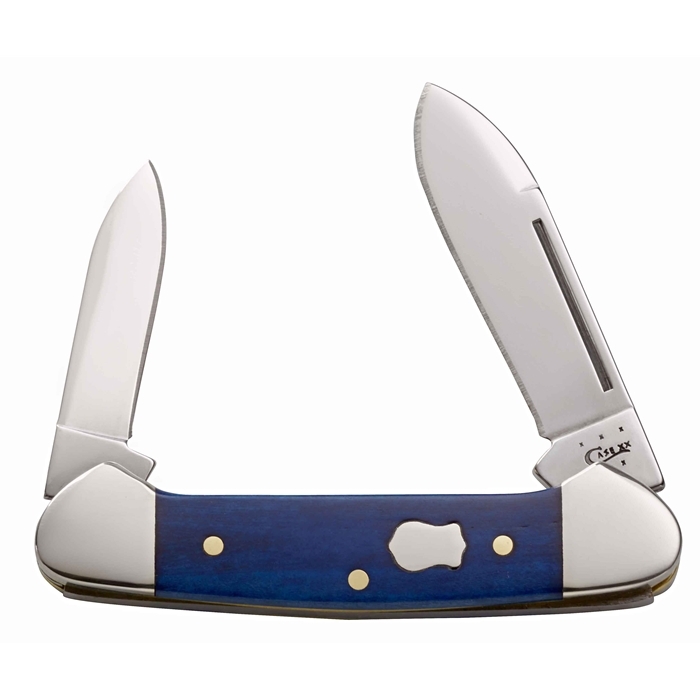 The Case Smooth Blue Cloud Bone handled Baby Butterbean is a classic. The hand rubbed finish brings out the beauty of the bone handle. With it's exceptional good looks and distinctive Case Badge Shield, this knife can be your Sunday dress knife or your everyday carry knife. Spear and Pen blades mirror polished and hand honed to a razor sharp edge. We can engrave on the bone handle of this knife on the shield (mark) side. Please note that you are limited to 10 characters including spaces. We can also engrave on the back of the handle. We will be stocking large quantities of this knife to meet your needs with quick delivery with engraving for your special occasion.